HForce is a new generic weapon system (GWS) that can be added to civilian rotorcraft, enabling operators to lay the foundations for a military capability. This webinar explains how it works and what it offers. To view this webinar, please fill out the form to register and become a Defence IQ member. Or, if you're already a Defence IQ member, sign in below to view. A light attack helicopter capability can be seen by many as a considerable expense, yet the requirement for this capability frequently remains critical. Recent operations in North Africa and the Middle East can testify to that fact. Recognising this challenge, Airbus Helicopters has unveiled a new modular weapon system that offers operators the ability to quickly and easily transform their civilian platforms into armed military ones by means of a single common mission computer. Known as HForce, the system is a generic weapon system (GWS) that can be added to civilian helicopters, enabling operators to lay the foundations for a military capability. 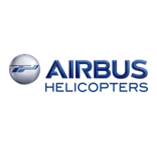 Within weeks of the product's launch, it had successfully completed its first round of firing tests using an H225M rotorcraft. In this exclusive webinar, Philippe Kohn, operational marketing manager at Airbus’s Combat Military Platforms, helps viewers to understand the operational needs for integrating such a system with a commercial asset and explains how Airbus is adapting its technology to meet operational requirements. HForce is built around the Rockwell Collins Deutschland (RCD) FMC-4212 General Purpose Computer (GPC), which enables the integration of a number of different weapon systems aboard a variety of helicopter types. These include a combination of 12.7 mm heavy machine gun pods (HMPs), 20 mm cannon pods, air-to-surface and air-to-air missiles, and/or 68 mm and 70 mm unguided and guided rockets aboard the H125M, H145M, or H225M helicopters. HForce also features the Thales Scorpion helmet-mounted display and an L-3 Wescam electro-optical/infrared sensor. Option 0 - The helicopter is provisioned for the HForce GWC for later retrofit, but not yet equipped with it. Option 1 - Ballistic firing with helmet-mounted sighting display (HMSD). This includes pilot HMSD, plus the integration of a combination of 12.7 mm HMPs, 20 mm cannons, and unguided rockets. Option 2 - Ballistic firing with HMSD and electro-optical/infrared (EO/IR) targeting. This includes Option 1, plus pilot and co-pilot/gunner HMSD, and EO/IR targeting. Option 3 - Ballistic firing with HMSD and EO/IR and guided weapons. This includes Option 2, plus air-to-surface and air-to-air missiles, and laser-guided rockets. Qualification testing is due to be completed by end-2017.